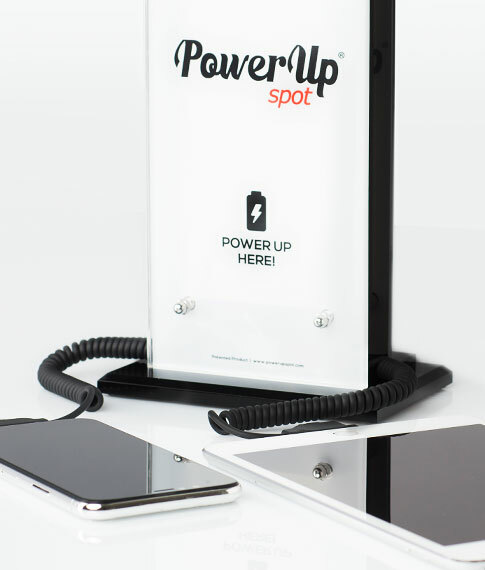 Power Up Spot® is the 1st professional, stand-alone charging solution with 100% personalization capability! 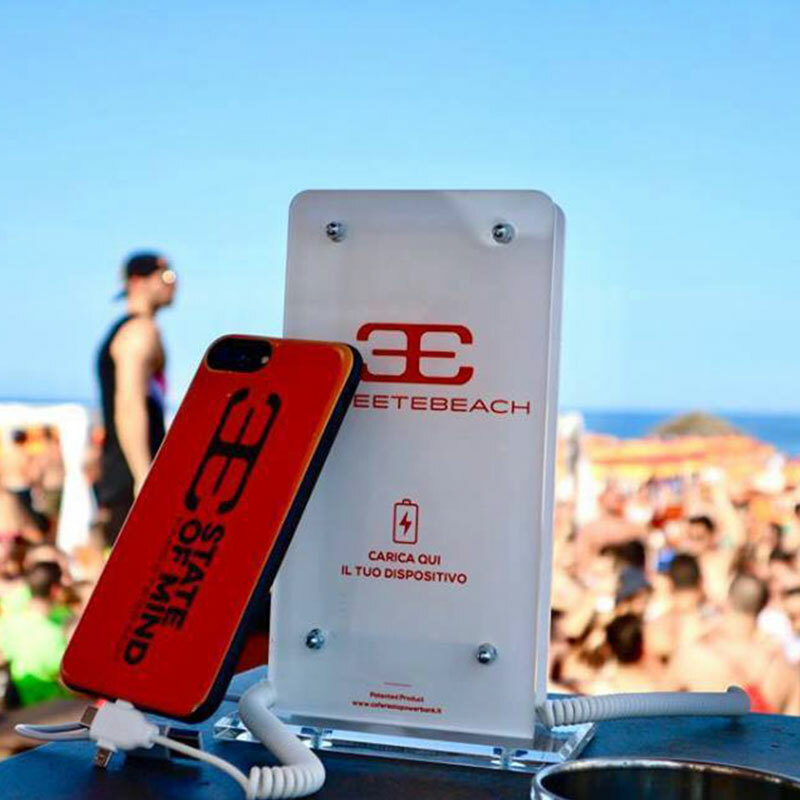 Created to serve 3 different audiences, with one single product: public, venues and brands! 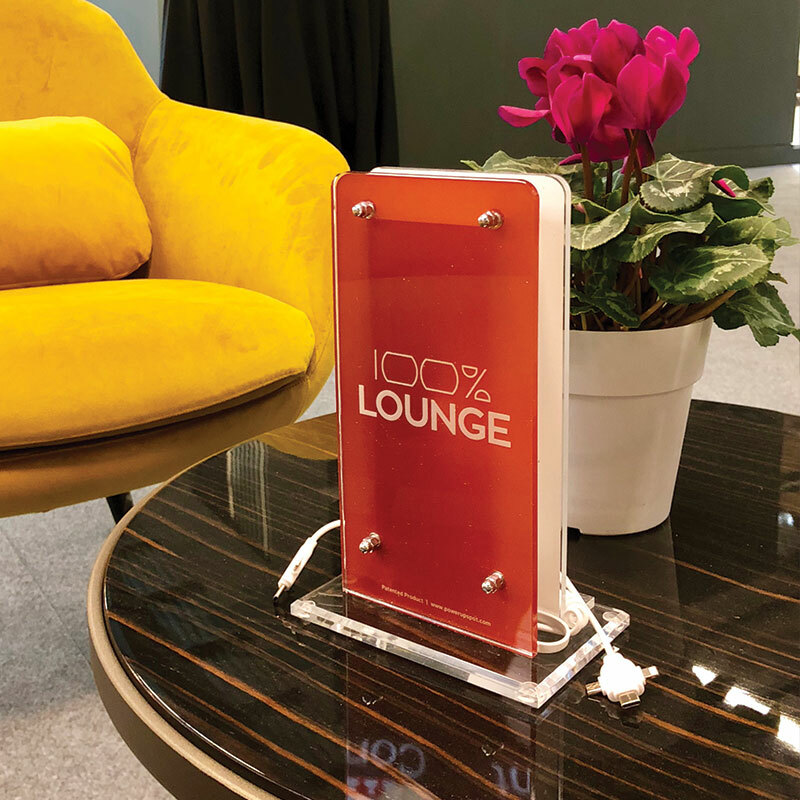 Ideal for any professional space such as: bars, restaurants, hotels, conference and event halls, clinics and any venue where people enjoy products and services. 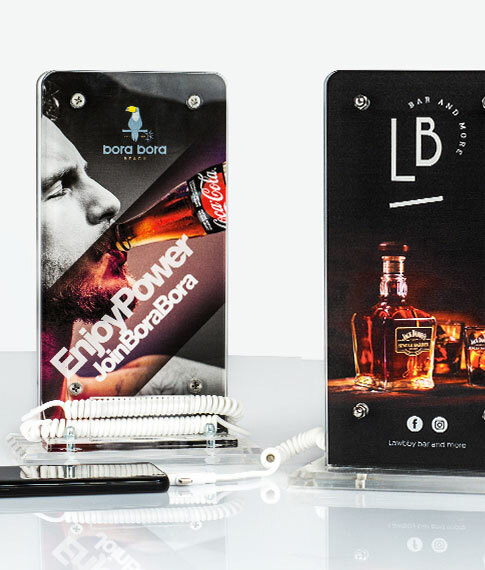 It works efficiently as an innovative marketing tool, by promoting products and services in the desired places. 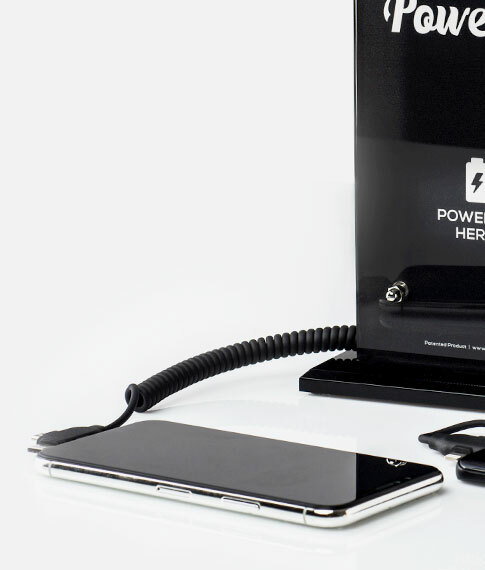 The most widespread solution for charging devices like smartphones & tablets, without the need of wall chargers or any installation process, in any venue. 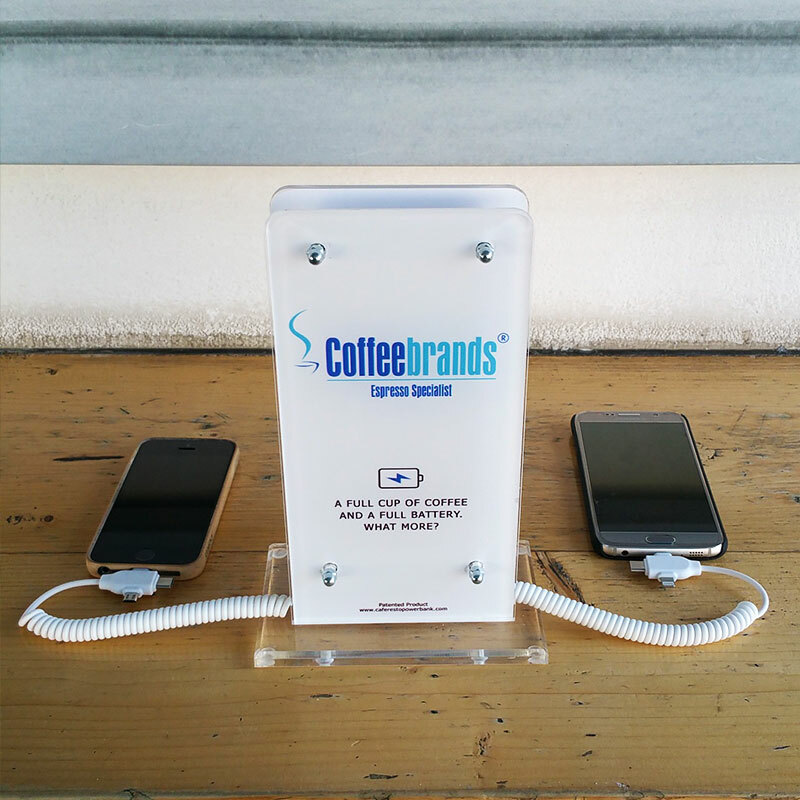 With specially designed cables that support any contemporary mobile device. 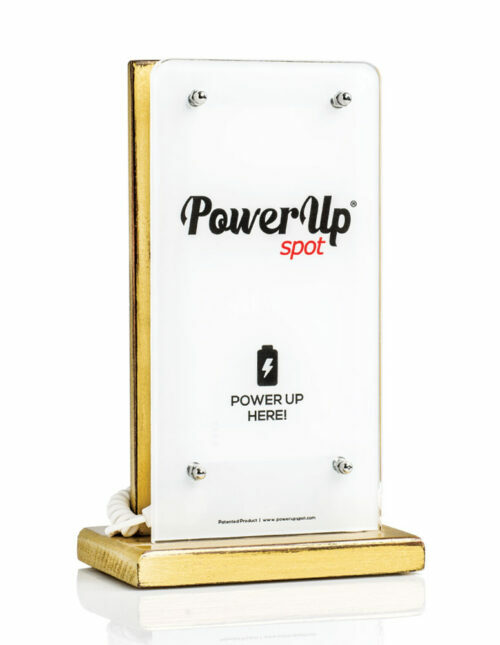 Designed to fit in any business property, Power Up Spot®, apart from a valuable service tool, is a ''gem'' for your business. 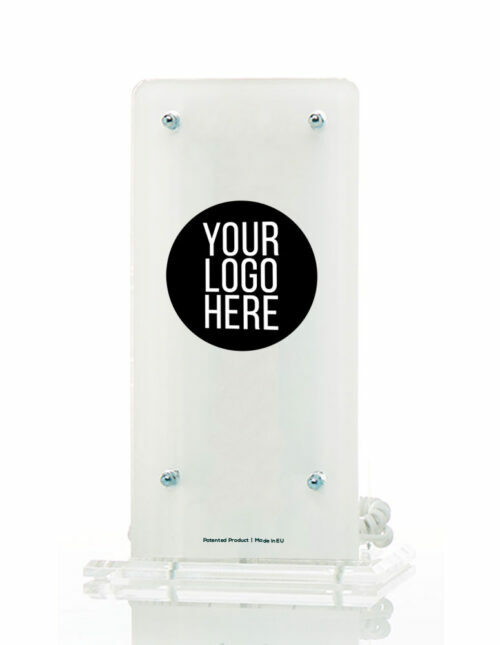 Stable, practical, with a wide surface that can be used for display. 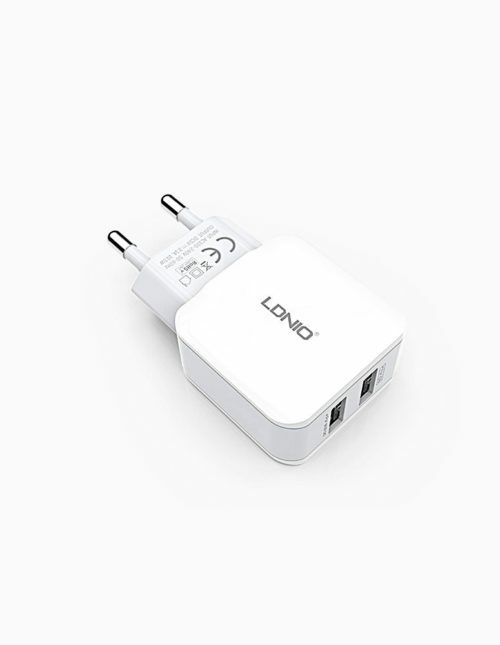 as fast as a 2,1A wall charger! 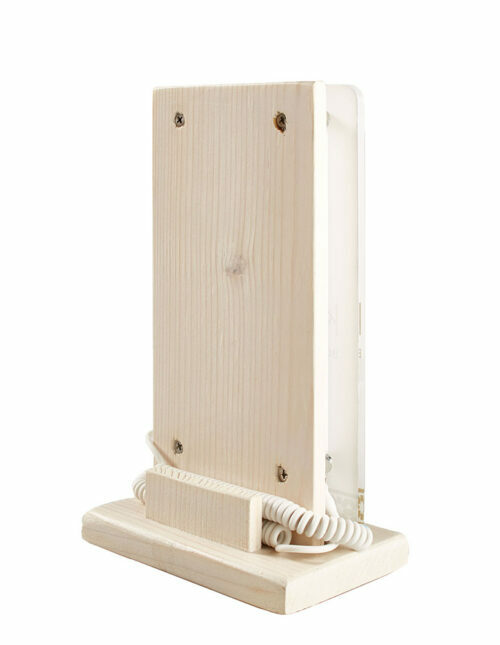 and other 5V portanble devices. 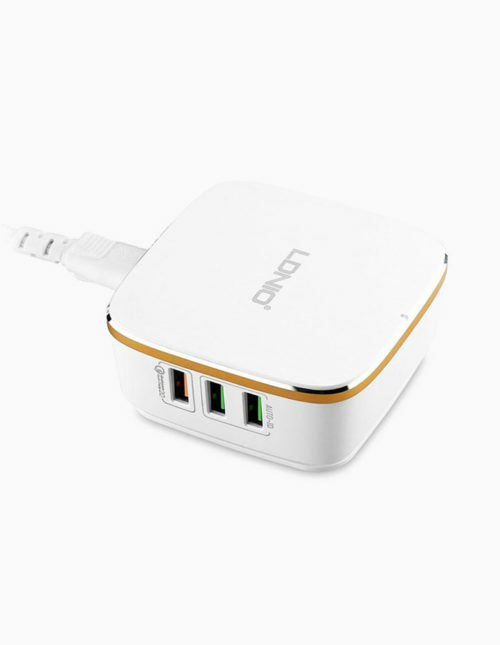 it is also suitable for tablet charging. 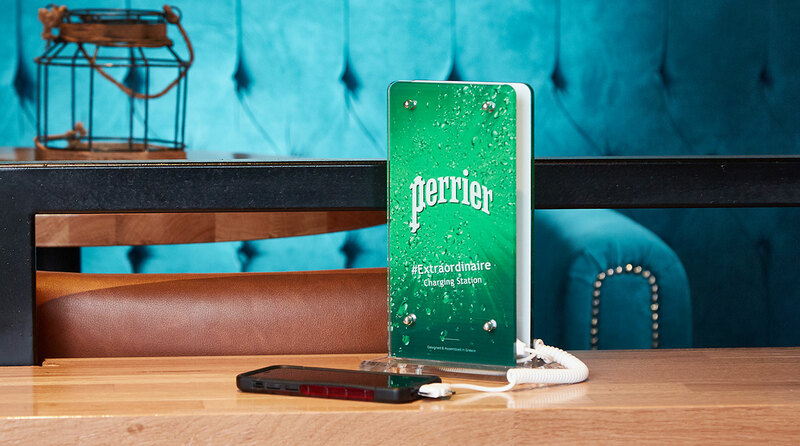 while needing less space and keeping the device elegant. 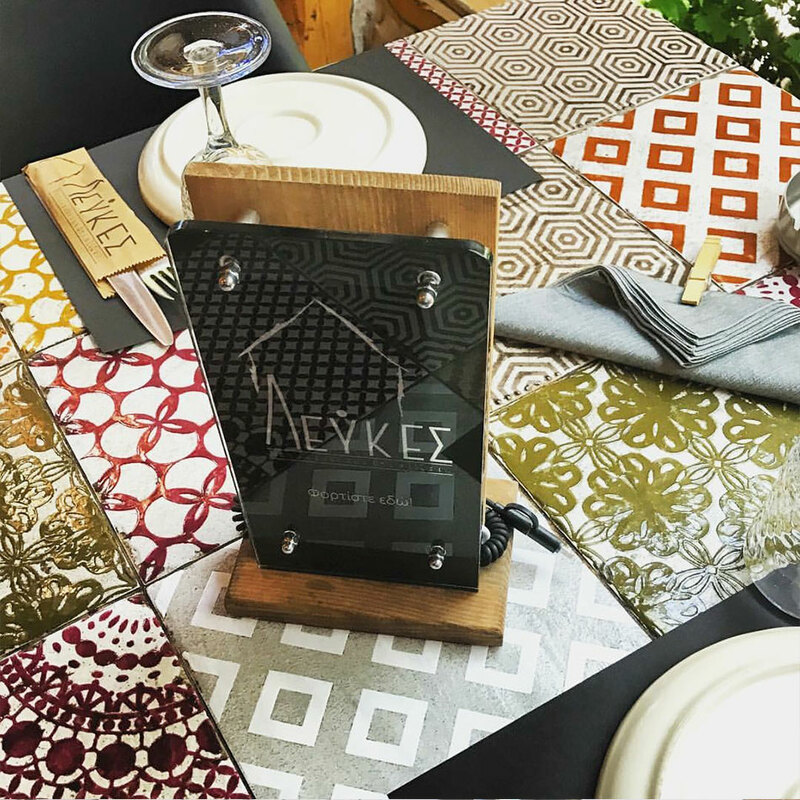 Fitting and adding value to your space. 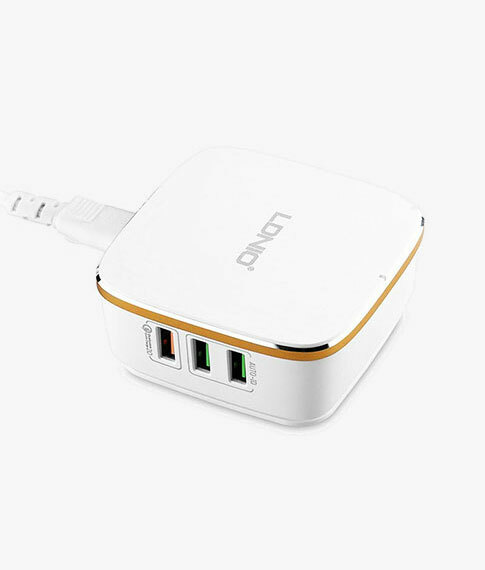 choose each time the output that fits their device. 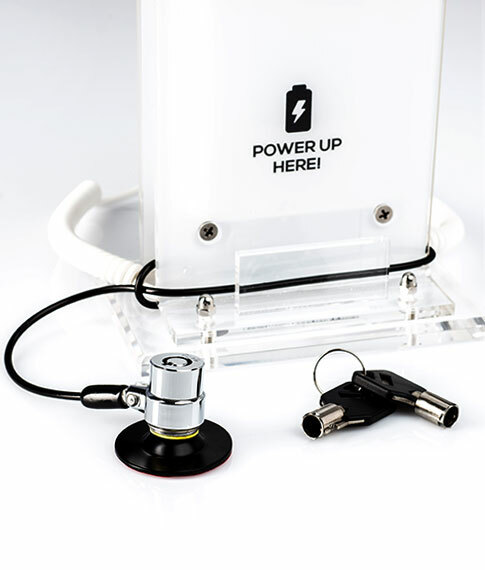 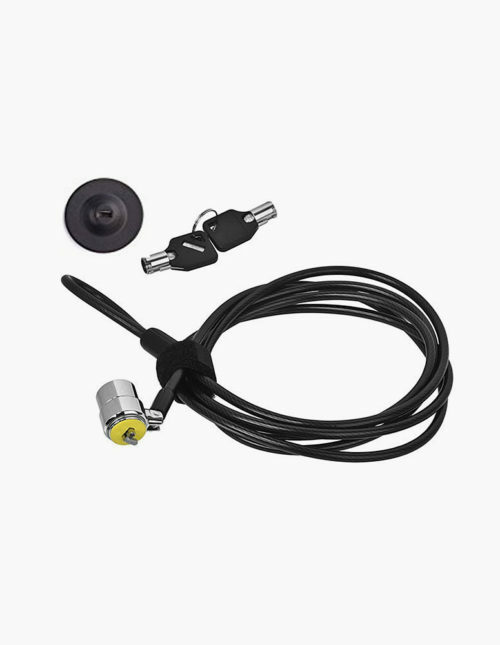 small locker with safety key and 3M sticking cap. 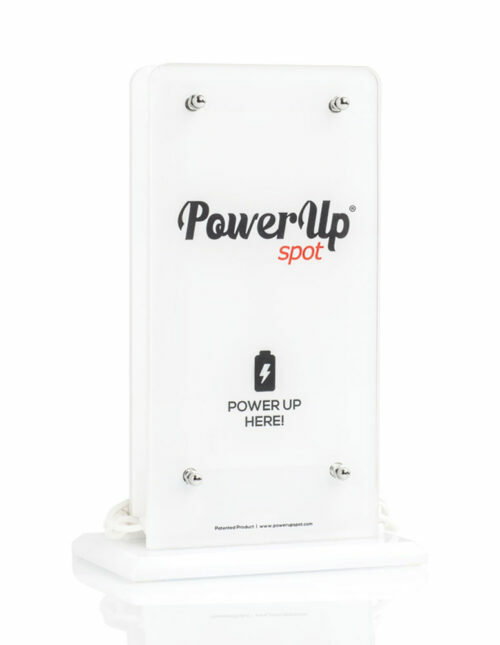 up to 6 Power Up Spots® at the same time. 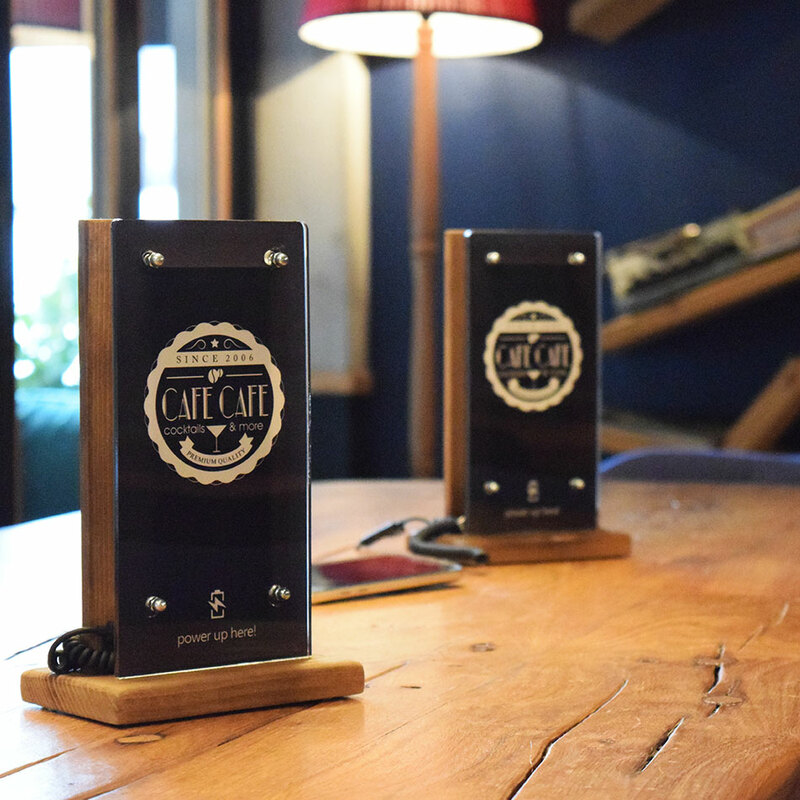 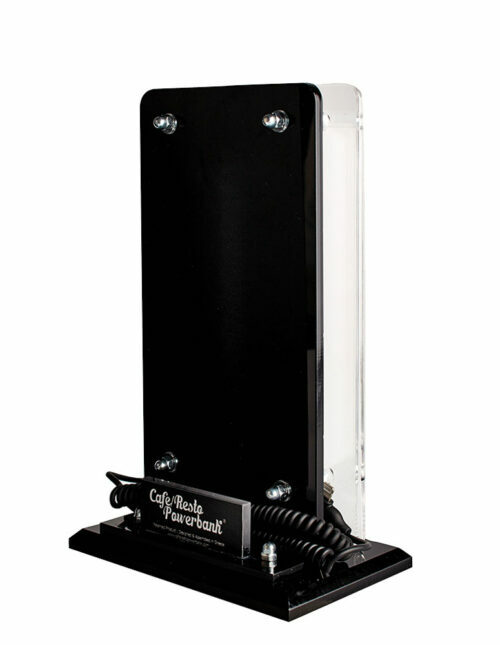 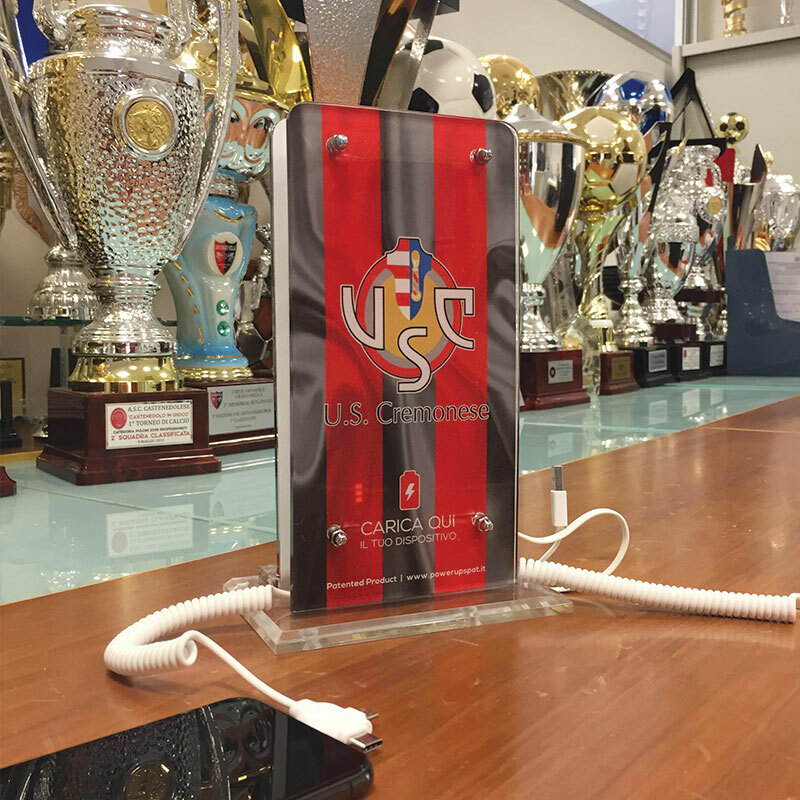 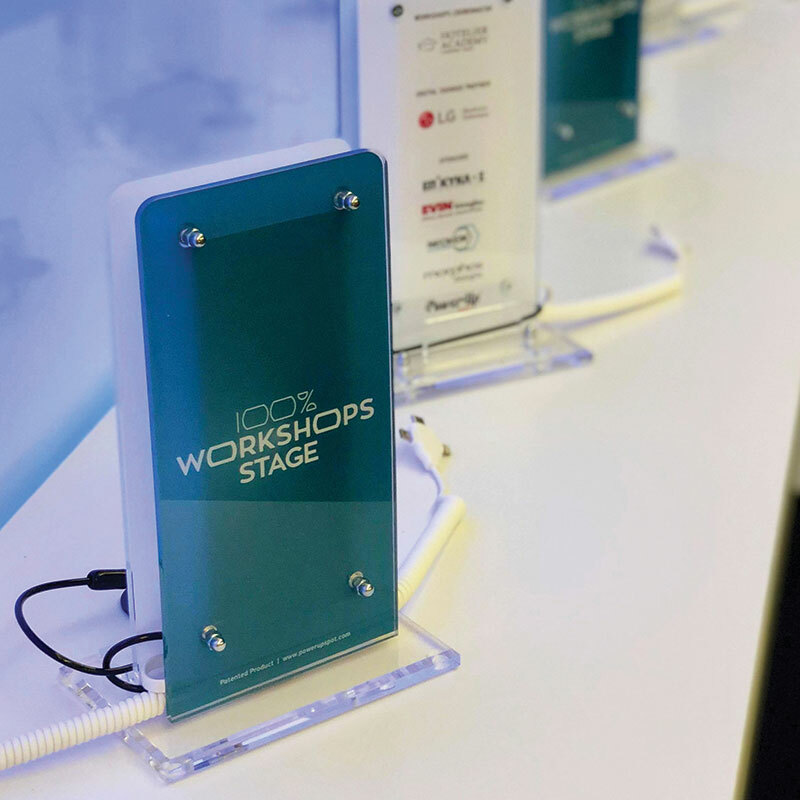 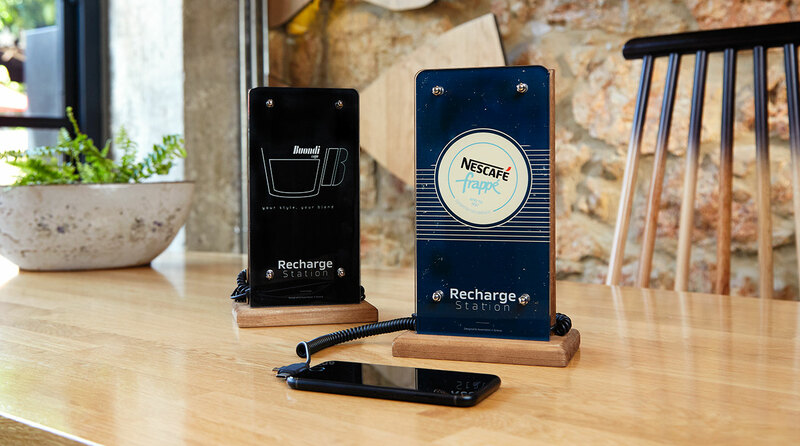 Cafe / Resto Powerbank® works efficiently as a display tool as it is positioned exactly at the point of consumption. 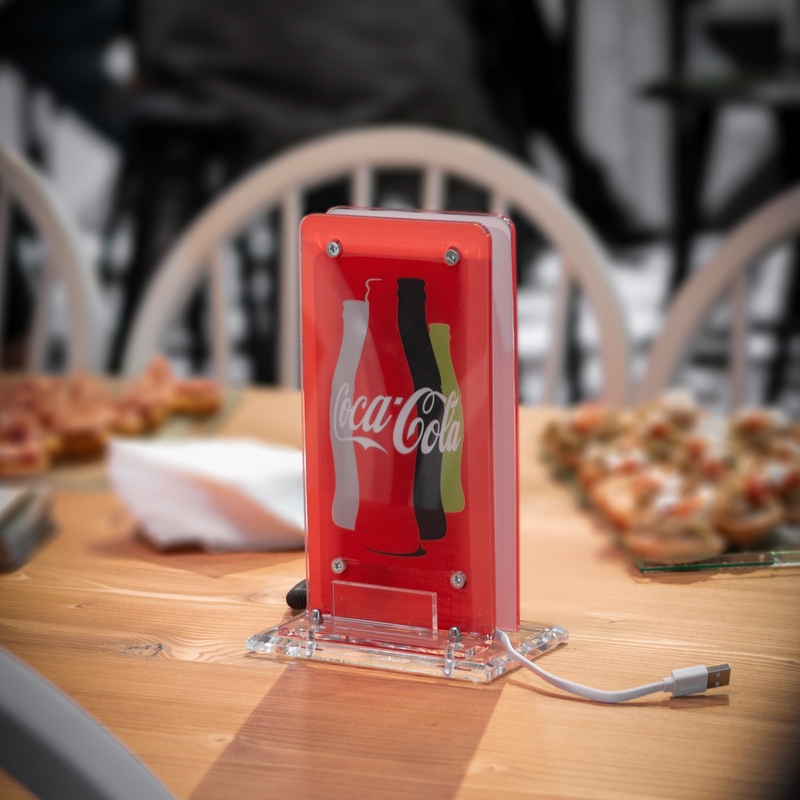 Communicates, informs, reminds and affects the buying decision. 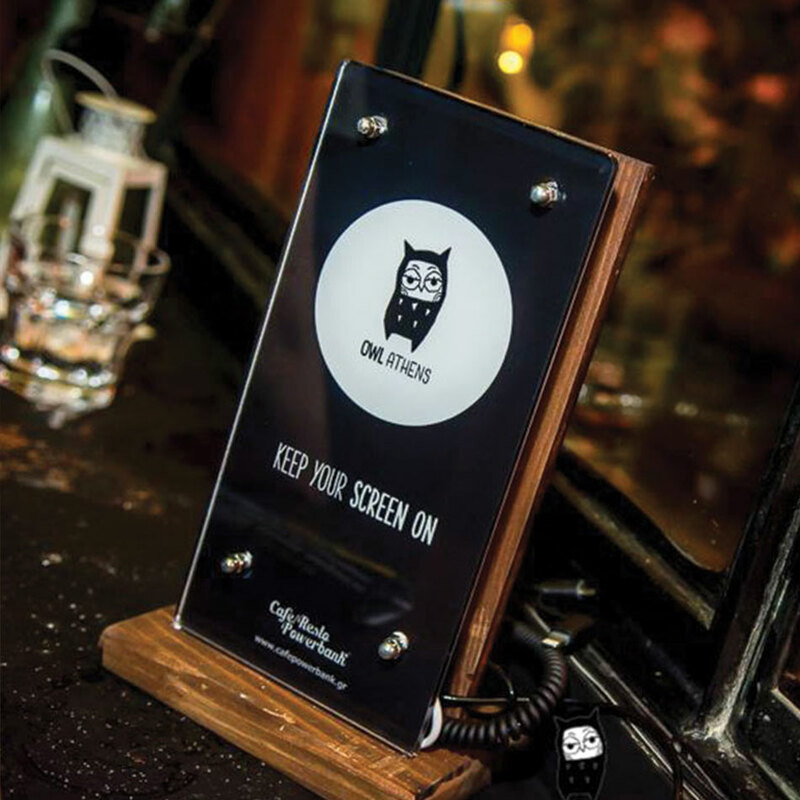 At the same time it gets your message across to your audience with immediacy, even when it concerns a product / service that is not offered in the venue. 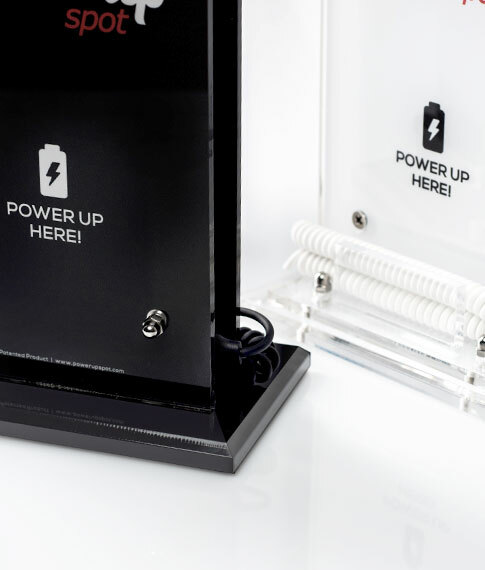 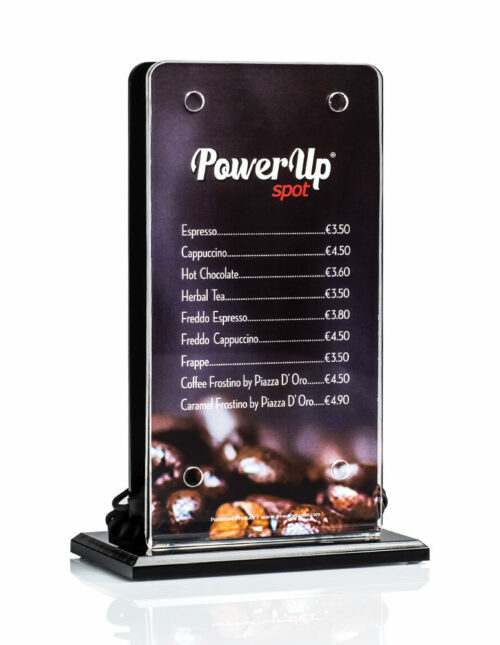 In the case of launching new products on the market, Power Up Spot® can provide a significant boost to sales. 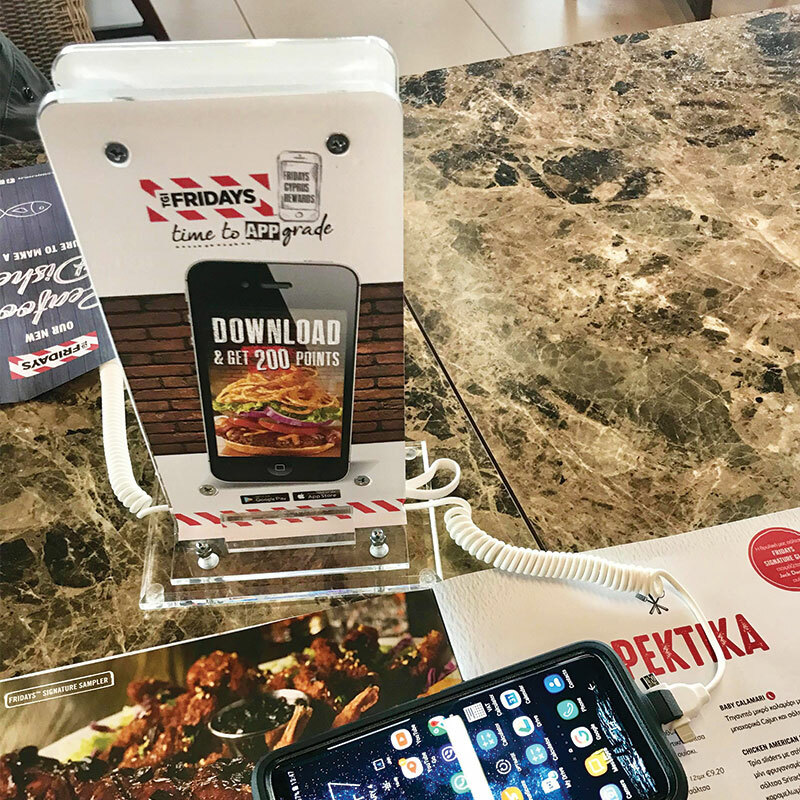 By projecting the product at the point of purchase, it strengthens spontaneous purchases and communicates directly to the public who is willing to try out new products. 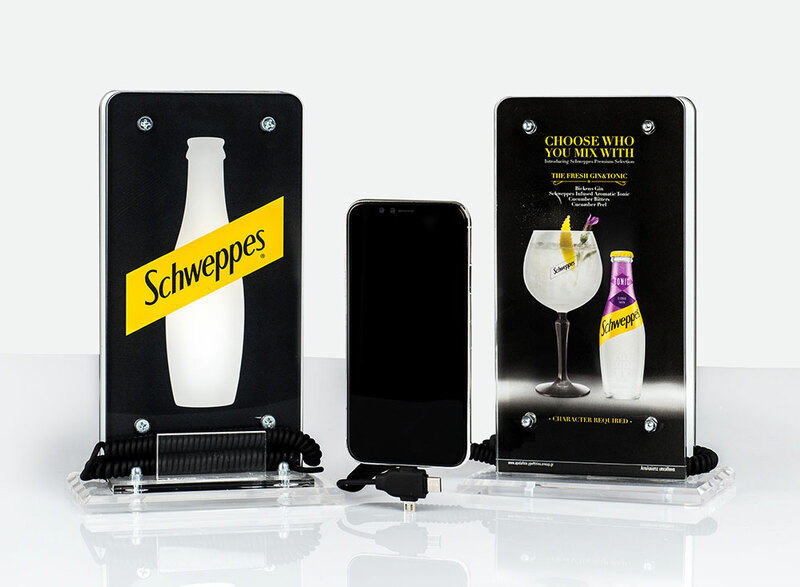 Connect your brand with an innovative product. 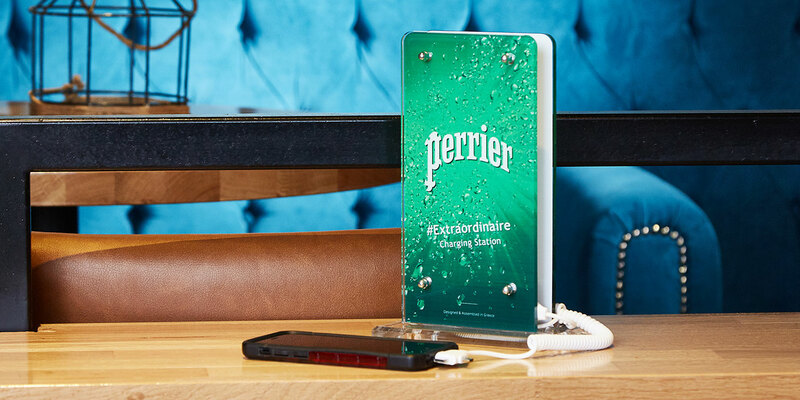 If one of the elements that determine your brand identity is innovation, then this image is enhanced by providing your audience with a free charging service when they need it, in a unique way so far. 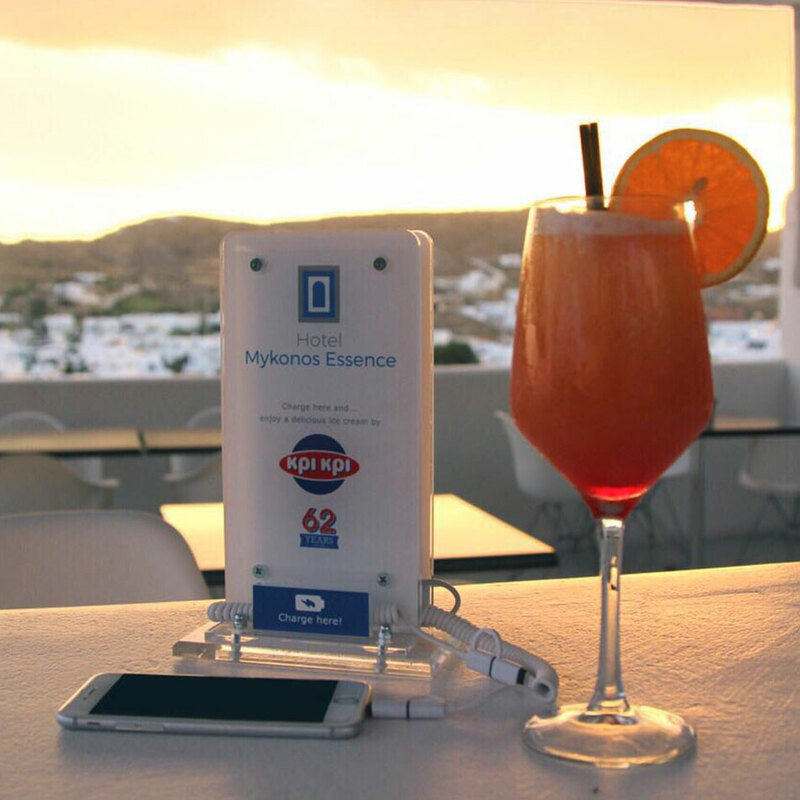 Reward your B2B customers with a useful tool for their business, which will upgrade their services. 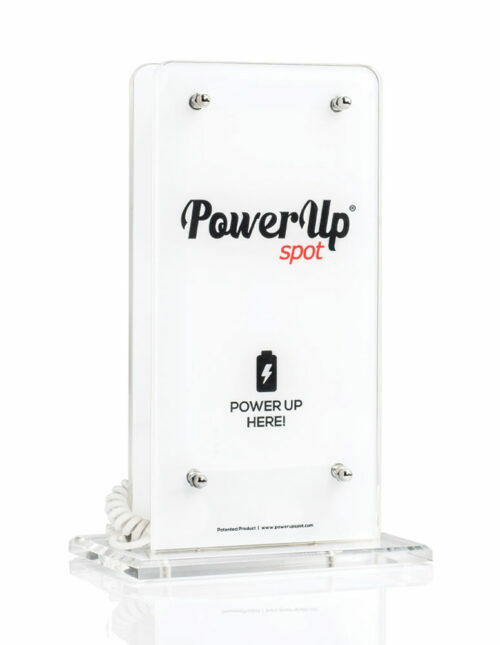 Power Up Spot® is a product recognized for its uniqueness, reliability and functionality, which every business would like to host in it's property. 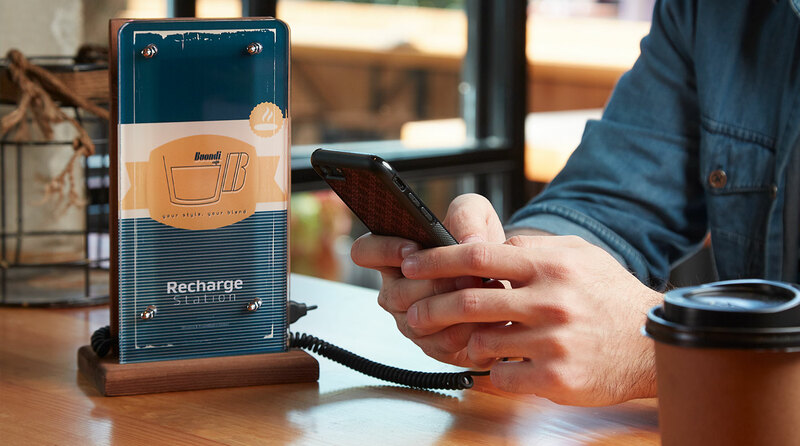 In our fast-moving and competitive industry, we are constantly looking for new marketing tools that can effectively contribute to goals such as Brand Visibility and engagement with our consumers. 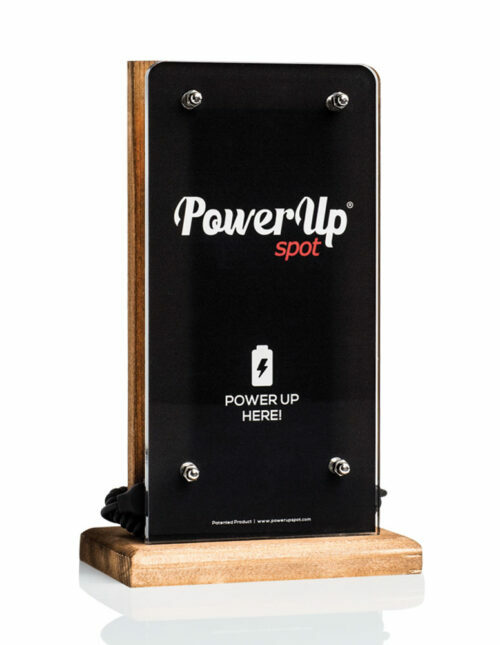 Power Up Spot® is an excellent and innovative product, which gained our attention at Heineken. 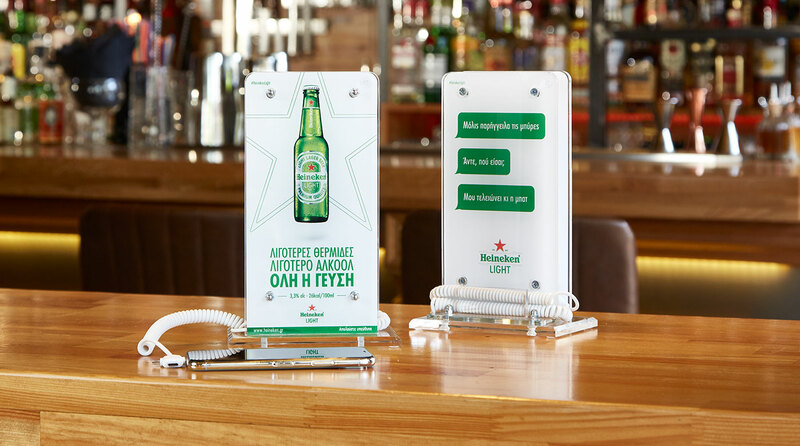 We made very positive results with the launch of Heineken Light, targeting selected locations across Greece. 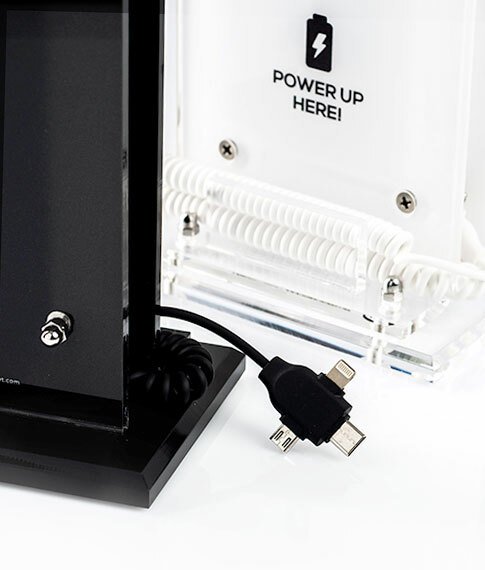 The response was totally positive from both market endpoints and consumers. 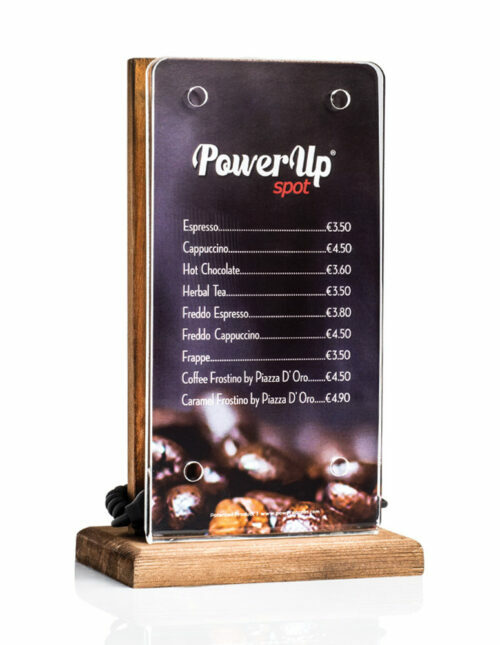 We used Power Up Spot® in the HORECA market and especially in All Day Bars, in 2 key roles: 1) As an incentive for new collaborations (we introduced the product as part of our benefits to the end point). 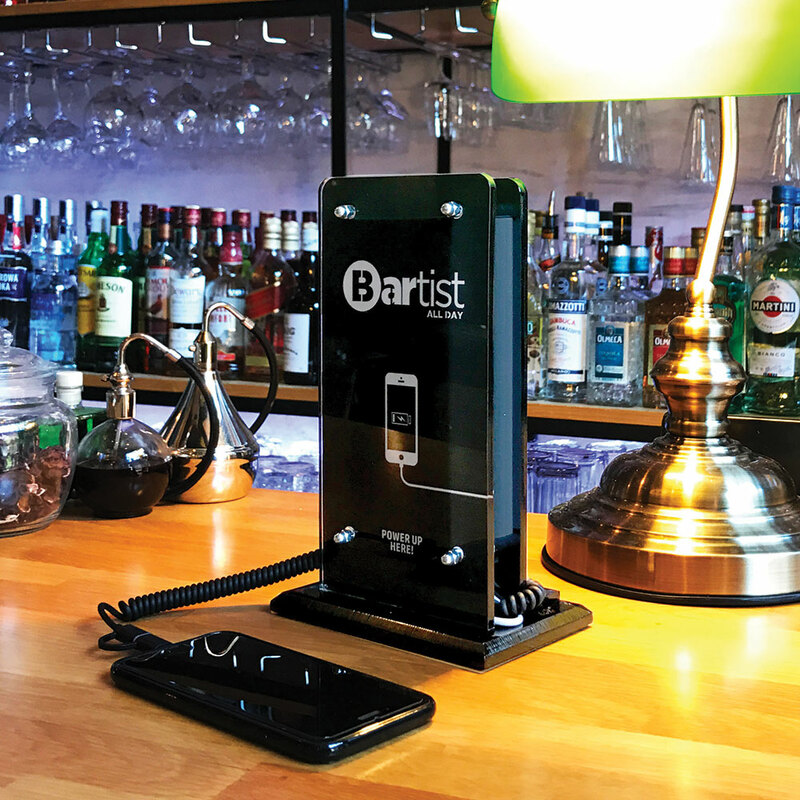 Bar managers were very positive, since it is a very useful tool in their everyday life. 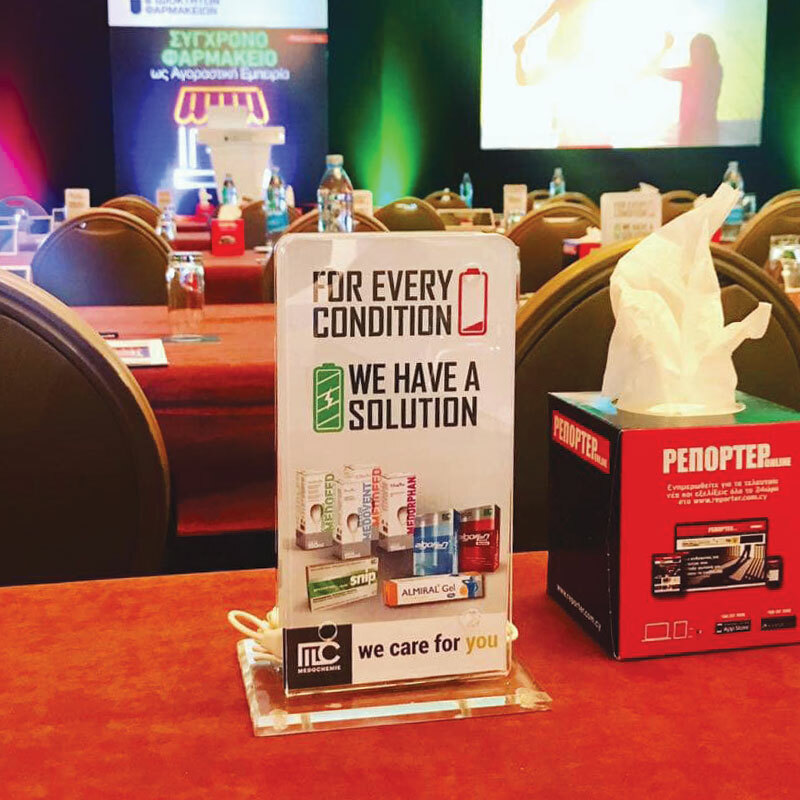 2) We have greatly increased brand visibility, having our brand placed at the table, which is very important. 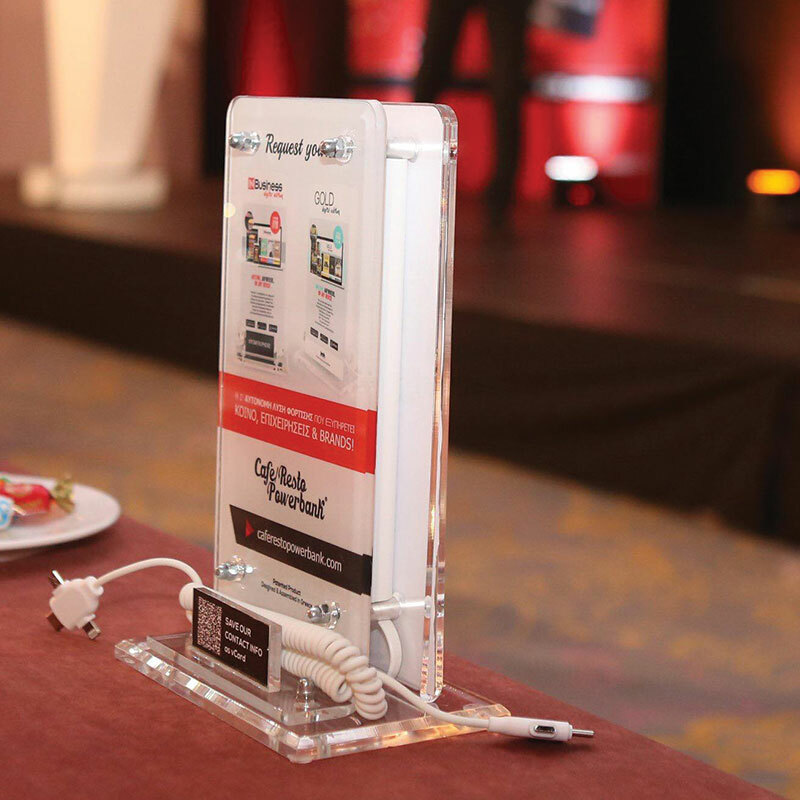 In Edenred it is our priority to provide added value solutions to people that use our services, as well as to our partnering venues. 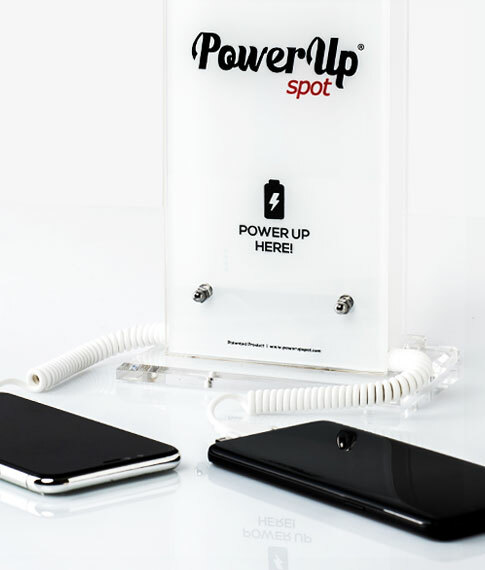 With the solution that Power Up Spot® is offering, we achieved to satisfy both parts by covering their needs, while letting them impressed with this innovative idea! 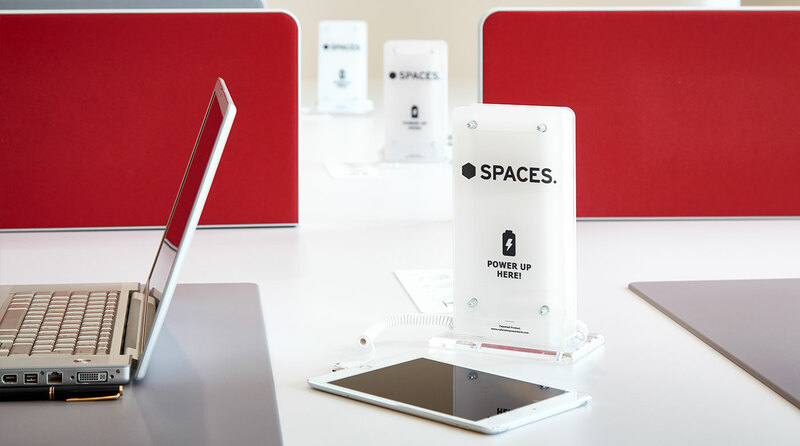 The need of moving and internet access is continuously increasing. 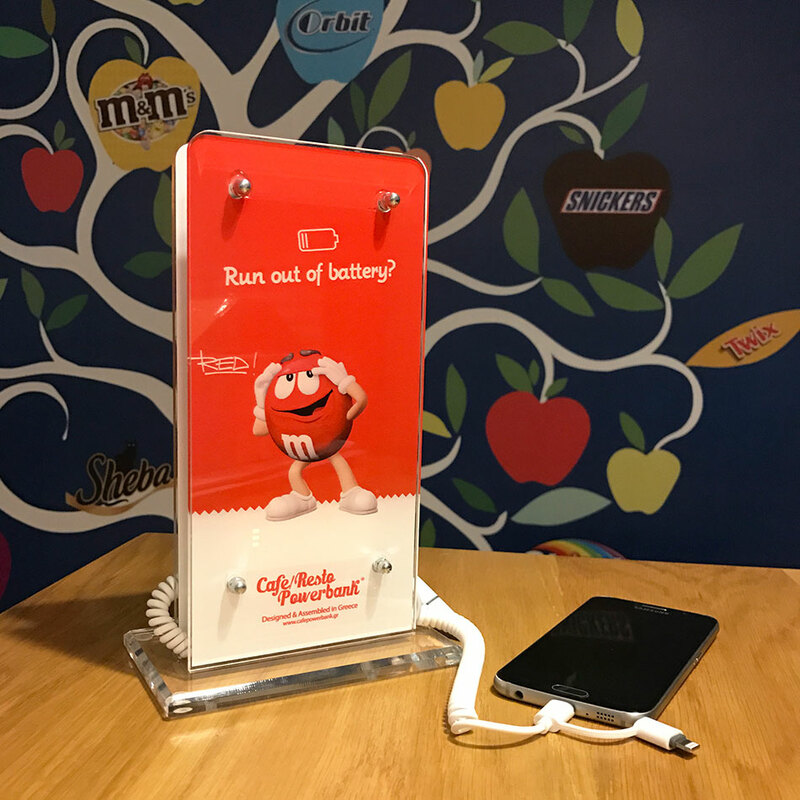 For that reason, Power Up Spot® is a really useful tool and at the same time a beautiful branded decorative element that should not be missing from any waiting room. 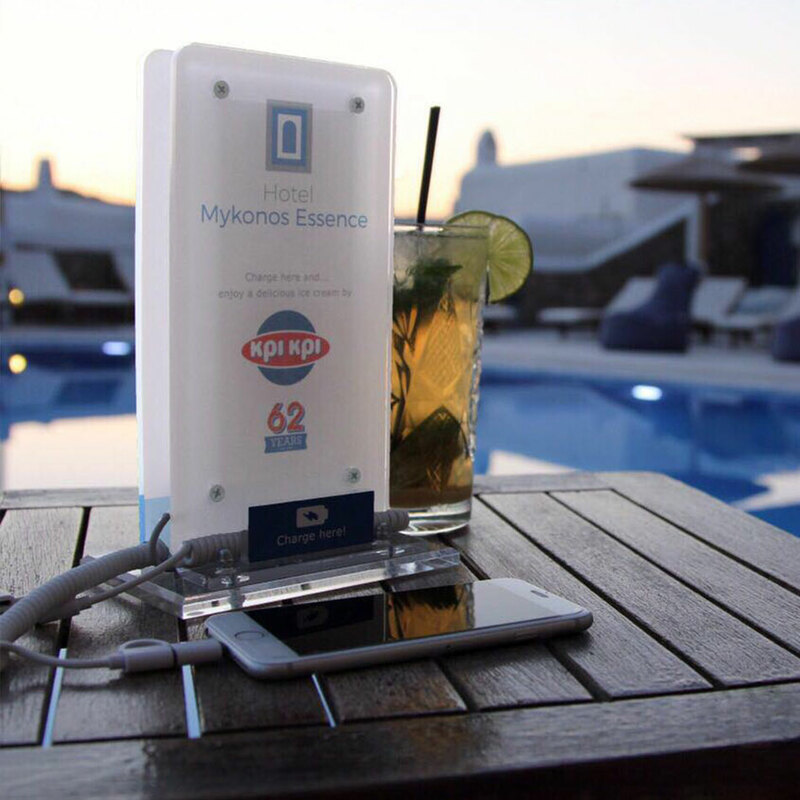 Our customers have only made positive comments when visiting our LeasePlan Hellas offices! 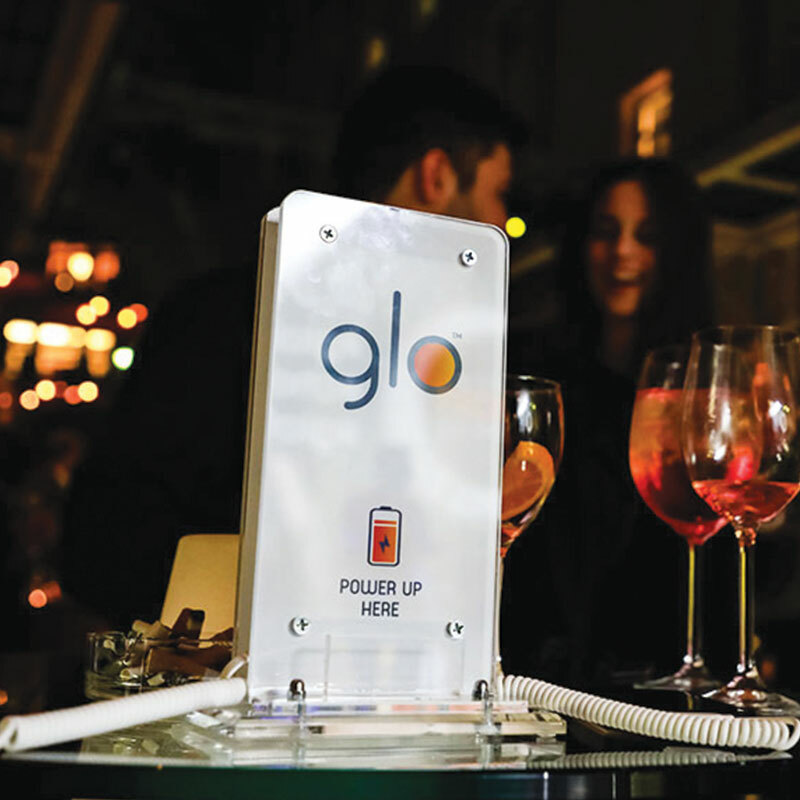 Our collaboration with the company was flawless, both in the planning and providing us with the Power Up Spot® for our hotels. 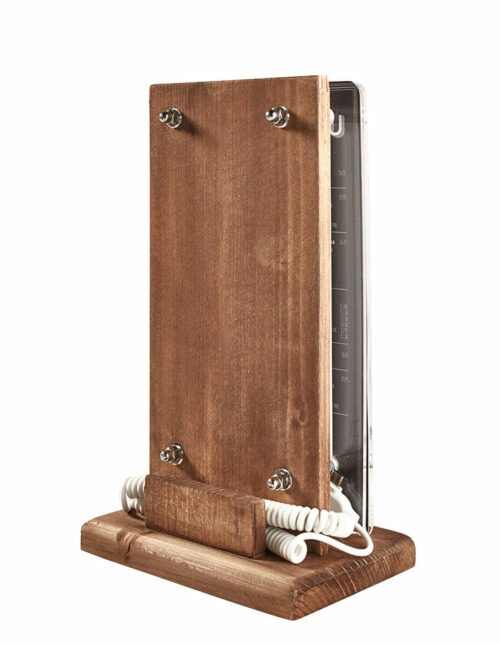 Support was immediate, while the outcome of the product is aesthetically perfect and functional, but also user friendly for someone who is not an expert. 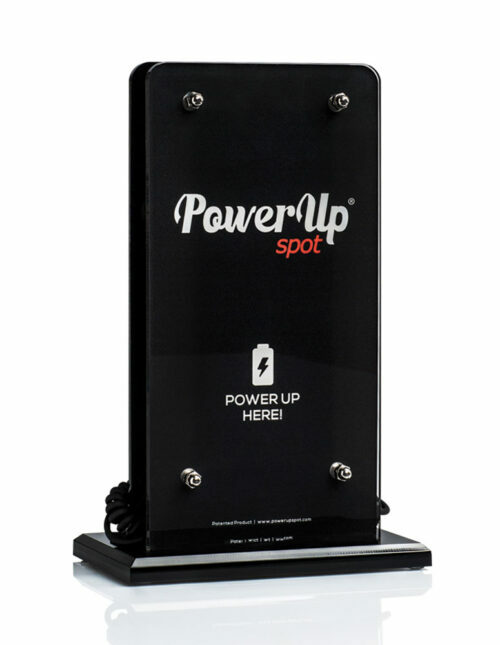 We would highly recommend Power Up Spot® to every establishment. 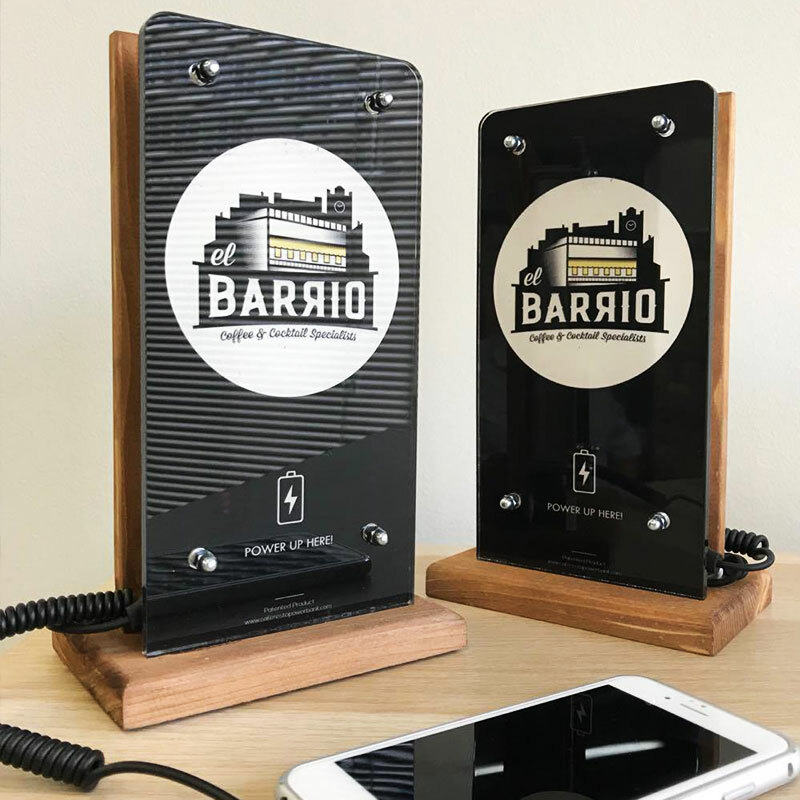 This is a well-designed and high quality product, which can definitely promote efficiently the corporate identity of our business, while at the same time covering our customers’ needs in a very convenient way, at our cafe-bar, whithout occupying our staff. 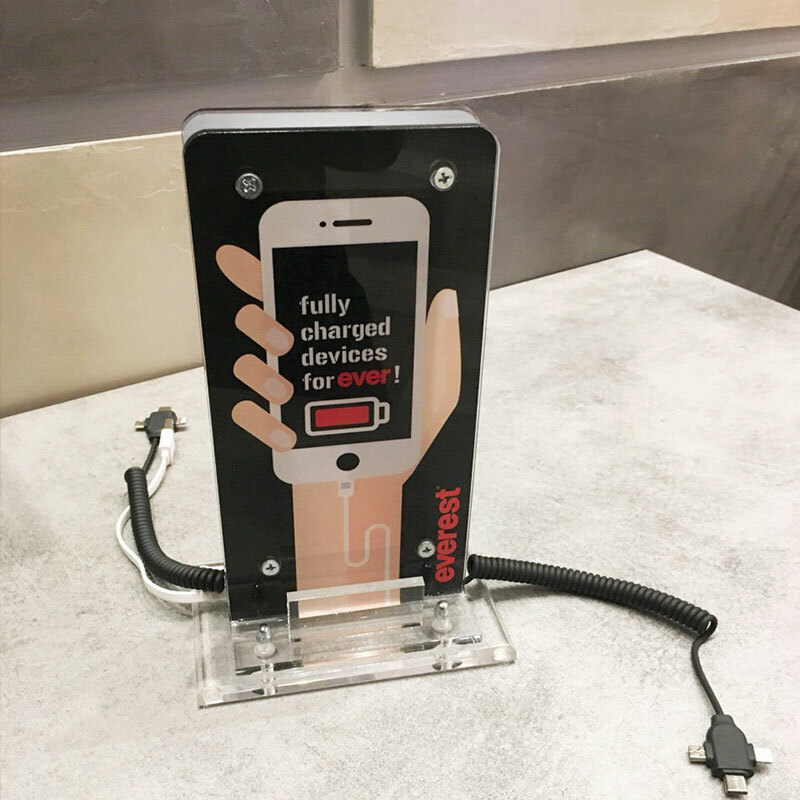 It is an innovative device that solves a daily need of our customers and facilitates our staff. 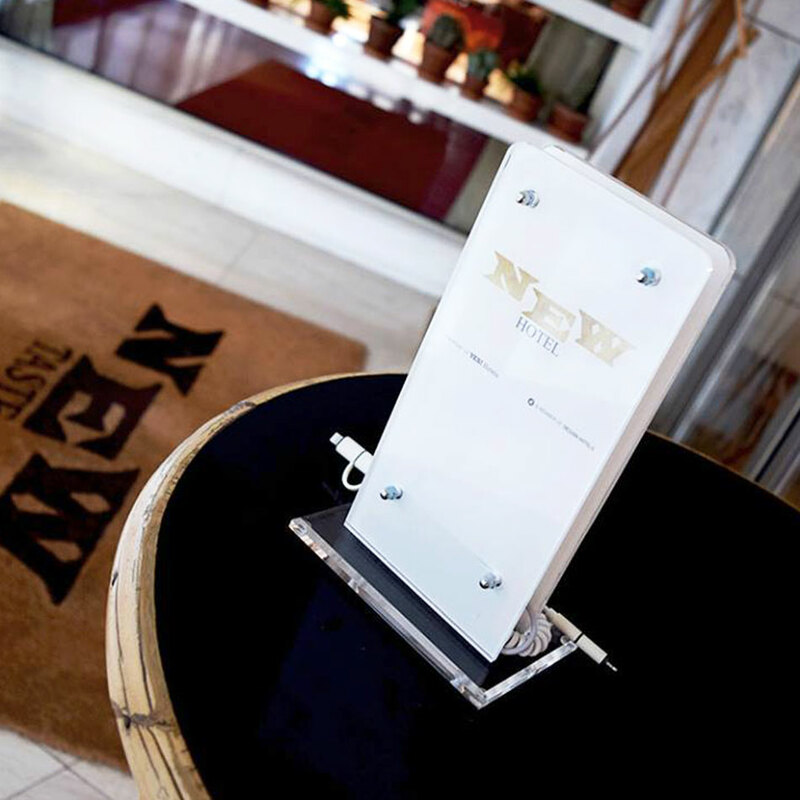 In the case of New Hotel, we used the product in the lobby and restaurant. 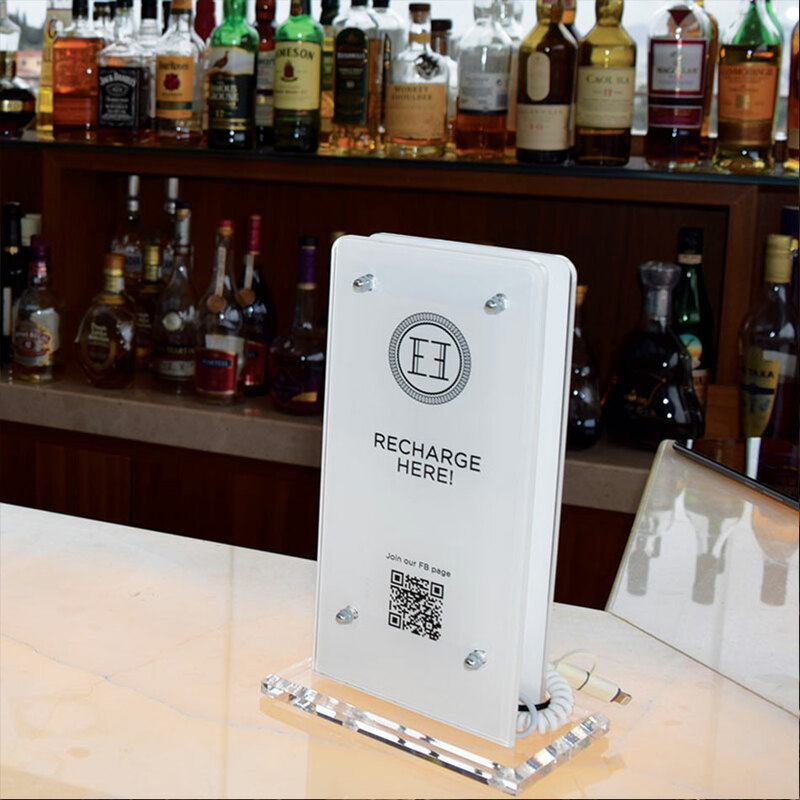 Our hotel has given great emphasis on interior design and the provision of a branded and stylish solution has contributed significantly to its integration into our space. 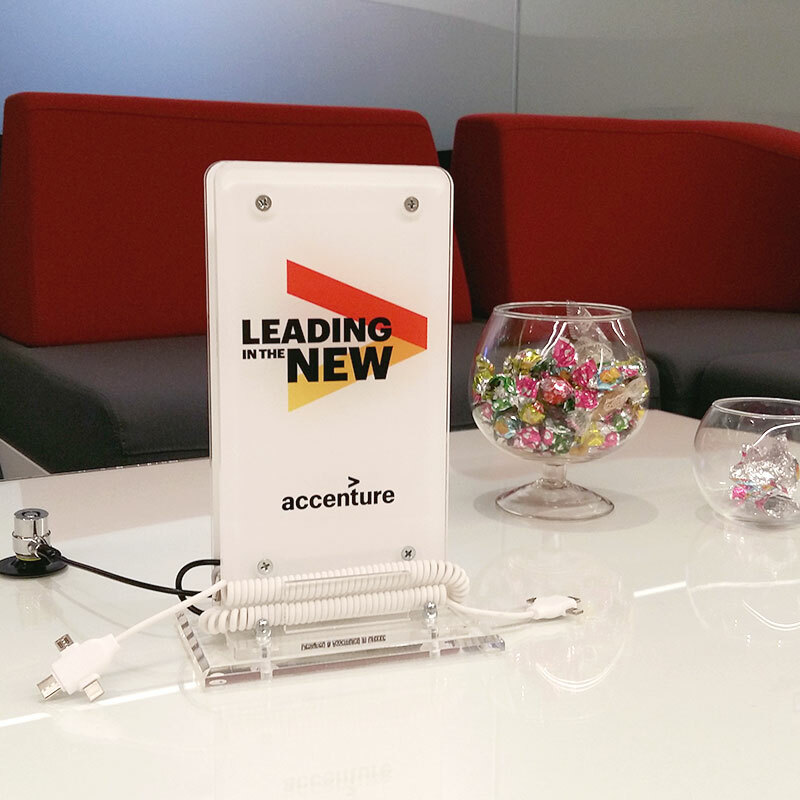 The provision of personalized services is the key to success in the highly competitive environment in which we operate. Power Up Spot® has helped us serve this purpose by providing us with a stylish, reliable and affordable product. 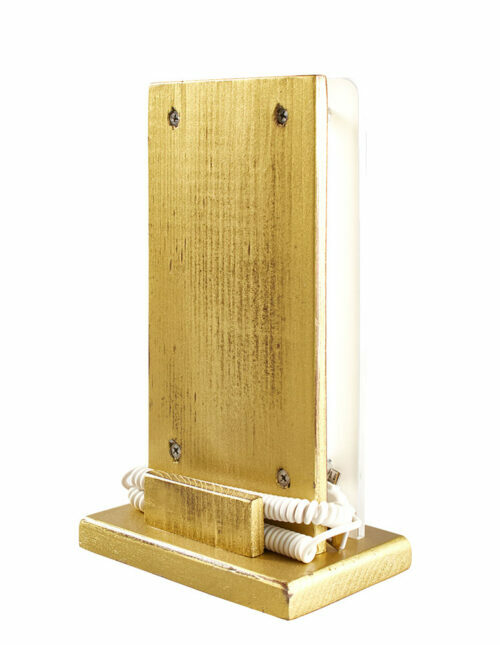 We thank the company for its help and the professionalism it shows in every transaction. 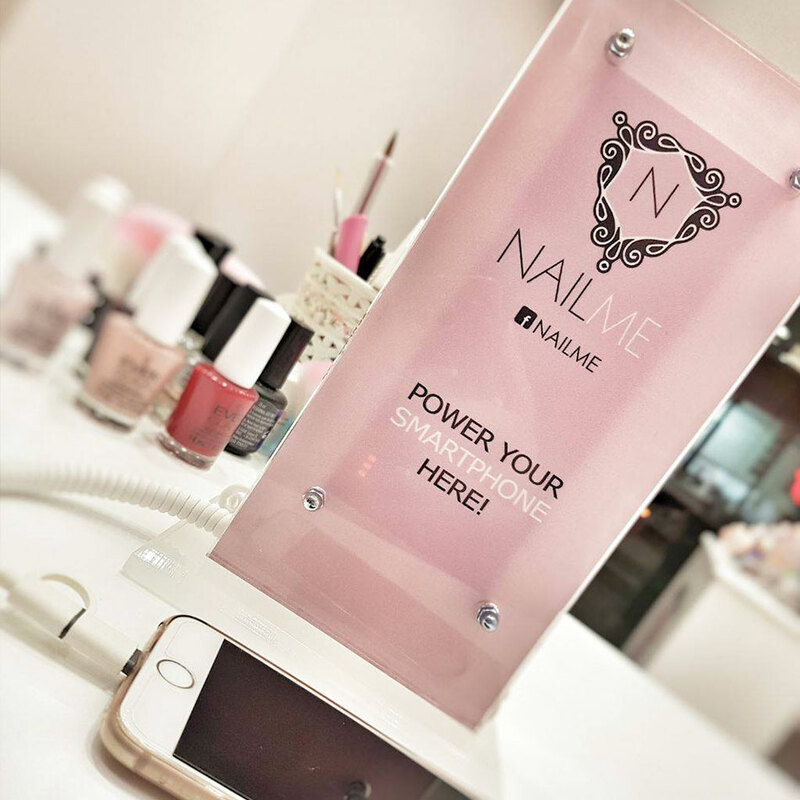 For quotation or additional information please contact us. 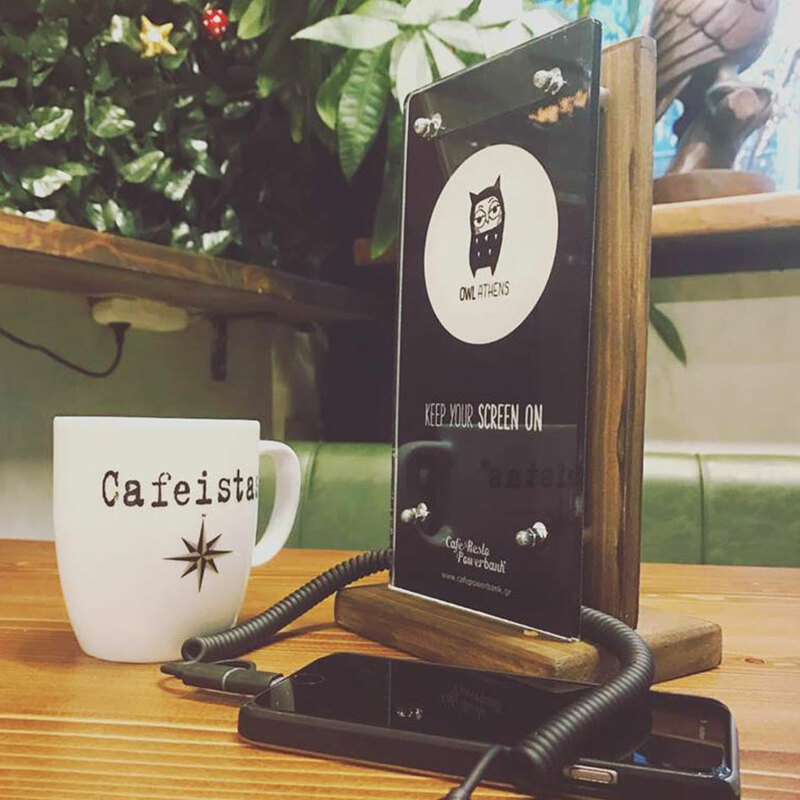 Please fill in the contact form and we will reply you soon.